Customers expect to purchase & make payments online. Because of this trend, more & more business transactions are conducted through a mobile device. The better option is to get a responsive designed, mobile-friendly website. It's one website designed to adapt to the device upon which it's displayed. As technology develops and the Internet expands to automobiles, appliances, and wearable tech like watches, a website that morphs to the device used will greatly expand your reach. As a leader in web development programming, we try to keep up to date on trends in technology. We provide it to you as a benefit to your business. 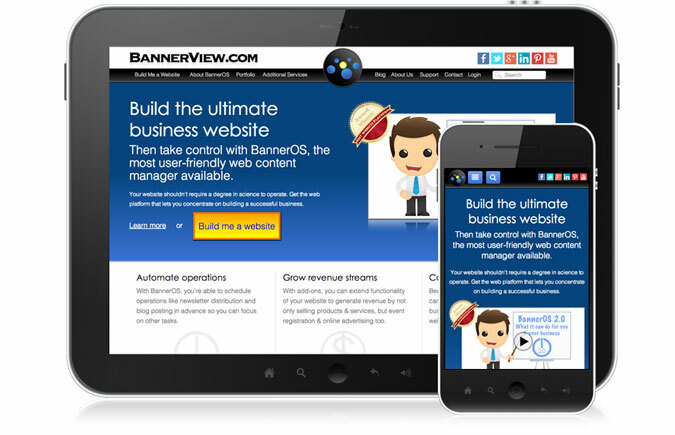 The following BannerBlog articles offer additional information on mobile technology and its use in business. Subscribe to the BV Buzz to receive notice when the next blog articles are published.